The Carico Lake mine is in Lander county, Nevada. 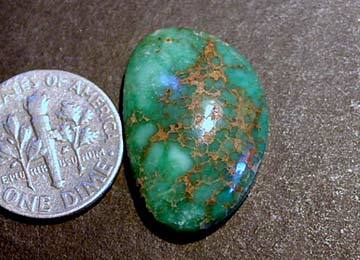 The turquoise coming from the mine ranges from light green to a deep blue with a matrix of mostly limonite. The bright greens of the cabochons that are offered here are rare in today’s turquoise market and highly valued because of their beauty set in gold.